• Search the forum before posting. Someone else may have already answered your question or discussed the topic. Checking for duplicates can help save you time. • Read the Stickies! Sticky threads at the top of the forum category answer a lot of questions. • Use proper spelling and grammar, with paragraphs as needed. Posts that are easier to read are easier to respond to. • If asking a question, provide as much in the way of details as you can to help the experts answer. Include hardware specs and OS. • Keep criticism constructive! If you disagree with an opinion, explain why, but never attack the person. • Use formatting to improve the quality of your post. 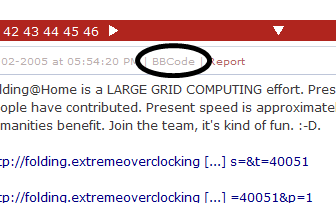 See below for a great, quick guide on how to format using BBCode. • Report violators of the Rules of Conduct by the Moderation Team by clicking the "Report" link below a post. • Be sure to post your thread to the category most appropriate to the topic, so others can find it easily. • Engage in any illegal activity. Asking for help pirating, cracking or bypassing copyright protections is not allowed. • Post in ALL CAPS or use excessive punctuation!!! • Share personal information publicly, including your email address. • Post empty threads or responses that contain no content. Don't bump posts, claim "First!" or give single-word replies. • Hijack a topic. Keep to the original subject matter. • Spam or encourage spam. Commercial spam is handled with a zero tolerance policy. No posting links to any commercial service or product if you are personally affiliated. OEMs are present, but indicated expressly as "Official Representatives". No posts to advertise or promote. • Be rude or impolite. 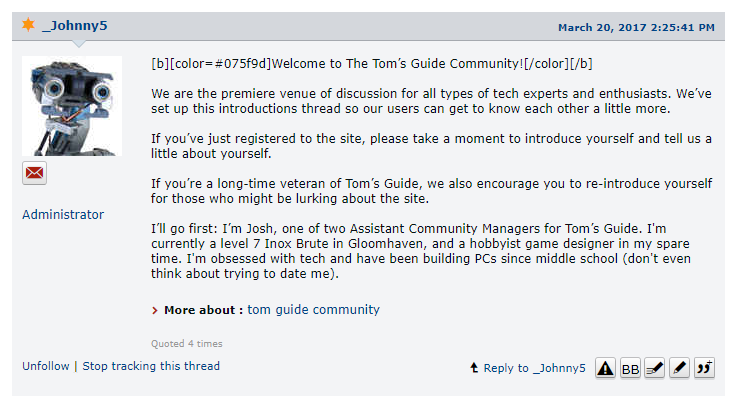 Civility is essential on Tom's, and remember that behind each user is a real person. Personal attacks (ad hominem) and insults are not allowed. • Abuse the forum software or try to game the badges or voting system. Use is closely monitored and investigated. • Harassment, threatening, embarrassing or insulting other users, including sending unwanted messages, attacking race, religion, gender, sexual orientation, etc. • Hate speech is not permitted. You may not post or distribute any content that is harmful, abuse, racist, homophobic, sexually explicit, defamatory, infringing or invasive of privacy. 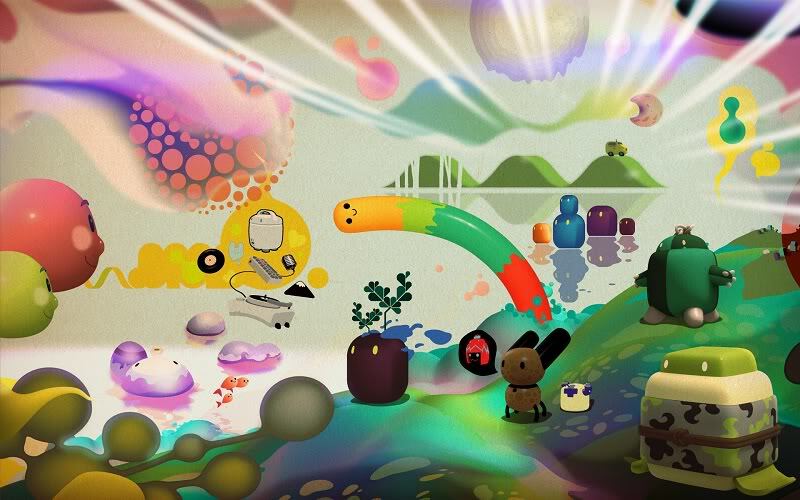 • Disruption of the natural flow of forum discussion through vulgarity, spamming, flooding or other means. • Phishing. A Moderator will never ask for your password. • Uploading or linking to files which contain viruses or malware. "One button to rule them All" Help with wiring LED latching switch to 5v devices.